These are some of our most-asked questions. There is additional information about our organization and services throughout the website, so use the menu above to find out more. Do you guys take in reptiles/amphibians/invertebrates? Yes, we take in herps in need for whatever reason. Do you guys take in pet mammals/birds? When we can. This depends on our workload at the shelter at the time. Mammals and birds take much more time to care for than reptiles, and our space and time are not unlimited. If we cannot accept your animal, we will help you place your animal with the right home or resource if we can. Do you adopt out animals? How much does it cost? Yes, L.E.A.R.N. always needs good adoptive homes. Please visit our adoption application page to apply. We do not charge adoption fees or any fees for anything that we do. Apply to be an adoptive resource home. Does L.E.A.R.N. approve out-of-state adoptions? While we do not have a specific policy against out of state adoptions, we do prefer to adopt locally when possible for several reasons. However, circumstances may arise where we particularly need a home for an animal and have been unable to find an appropriate resource locally. In such cases, we would consider adoptive resource homes further than we otherwise would. Again, we do not have a policy against doing so, but we have not yet shipped a reptile. We prefer to find a ride for the animal with someone who can watch over it during the trip if we are adopting out of the area. Can you help me find a home for my pet? Yes, we have a placement assistance program. Just send us the information we would need to make a post about your animal and we will get your request out to our social media followers. Do you guys take in squirrels, owls, songbirds, raccoons, etc.? We are unable to take in wild mammals or migratory birds. Visit our Wildlife Rehabilitation section to find out how to locate the appropriate resource for the animal. If you can not find someone, you may call or text our intake coordinator for assistance. Can I come see the rescue? Typically, we have open houses every few months. At this present time, we do have a moratorium on these for liability reasons, due to some storm damage that affected our entrance road. When we resume open houses, we will be posting those events on our Facebook page, so be sure to follow us there! What species do you have for adoption? Most of our adoptable animals are "beginner" species (e.g., bearded dragons, ball pythons). Typically, we rely on pre-screened adoptive resource homes for intermediate or advanced level animals. If you would like to be considered for these types of animals, the best way to do so is to fill out an adoption application. Do you have any tortoises, monitors, or tegus for adoption? We typically do not adopt out monitor lizards, tegus, or tortoises. We focus on providing permanent sanctuary for these species, since they are long-lived, large, and often get passed around from home to home when kept as pets. We have a large body of pet care information in our free book, A Primer on Reptiles and Amphibians. 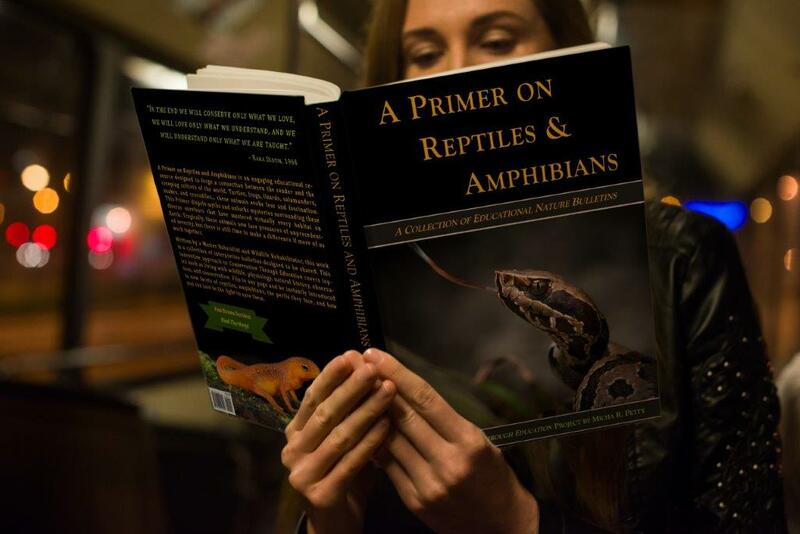 Download the file and read the chapter entitled "Herpetoculture." Do you take donations of supplies? Thanks for asking! We do sometimes take in-kind donations. We can always use larger (greater than 20-gallon) tanks, cages in good condition, and other reusable items. Text our intake coordinator to coordinate the logistics. If your primary focus is environmental conservation, why do you deal so much with exotic animals? Well, for one thing, we love critters and don't want to see them be homeless or sick. More important, though, is that there are still many people who will simply release pets into the wild when they are no longer wanted. L.E.A.R.N. is the only non-profit corporation in Louisiana that focuses on accepting many of these species, which reduces the impact to our ecosystem that introduced species can effect. Can you bring some animals to our school/event/etc.? L.E.A.R.N. strives to respond to as many requests as it can for animal interactions and education. Please visit our event request page to set this up. Please note that L.E.A.R.N. does not participate in commercial activities, so we are unable to attend events which are not free or do not have an educational focus. I live several hours away from your shelter, can I still surrender my animal to you? Yes, of course. There are several ways to go about that. The most direct method, if course, is to bring it to us. We will try to meet partway if we can. There is a severe shortage of rescues focusing on the animals we focus on, so people quite often drive from New Orleans or Dallas or Little Rock to bring us animals. However, we understand not everyone has the ability to do that. Another option available for reptiles, amphibians, and invertebrates (not mammals or birds) is overnight shipping. Visit shipyourreptiles.com or reptilesexpress.com for more information on how to order the appropriate shipping supplies and get instructions for your animal. Our facility address is at the bottom of this page. Yet another option is finding a volunteer to transport the animal. While not an everyday occurrence, it does happen that we can sometimes find someone who is traveling from your area that wouldn't mind carrying a critter to us. Also, we can try to find a home in your area and forego the transport. See the next question for details.